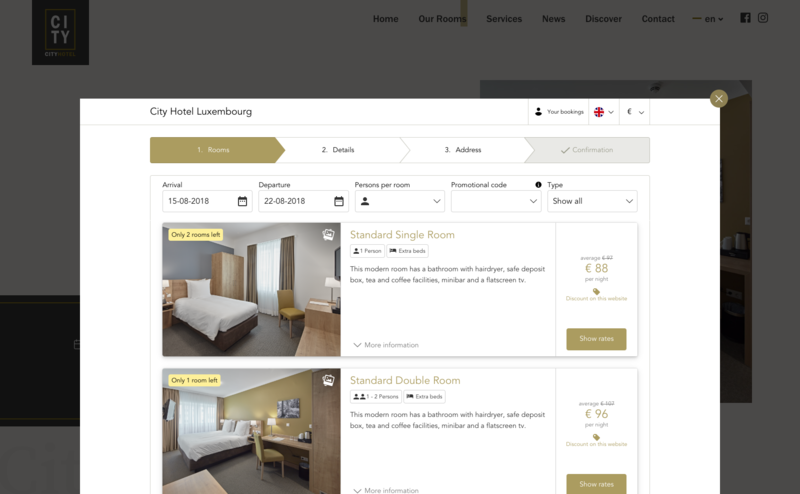 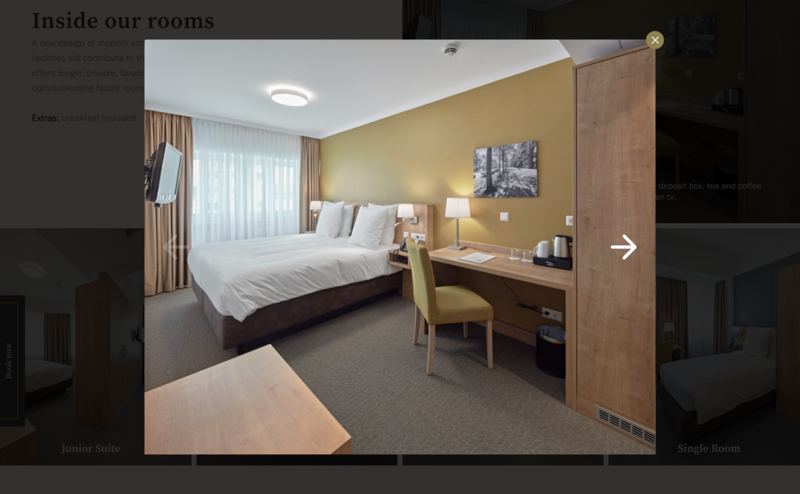 The City Hotel in Luxembourg has been freshly renovated in 2018, and they trusted us in creating their new website, reflecting their classical architecture and modern comfort. 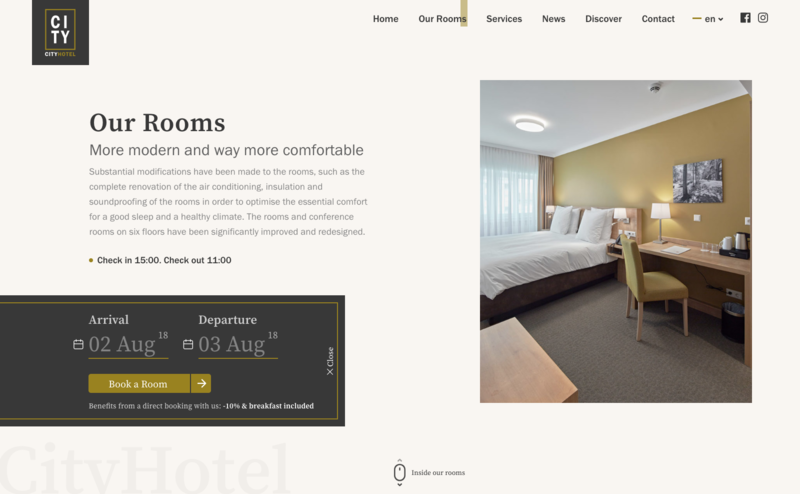 Clean and simple shapes and colours, in combination with a classy serif font set the customer in the right mood for this city centre hotel. 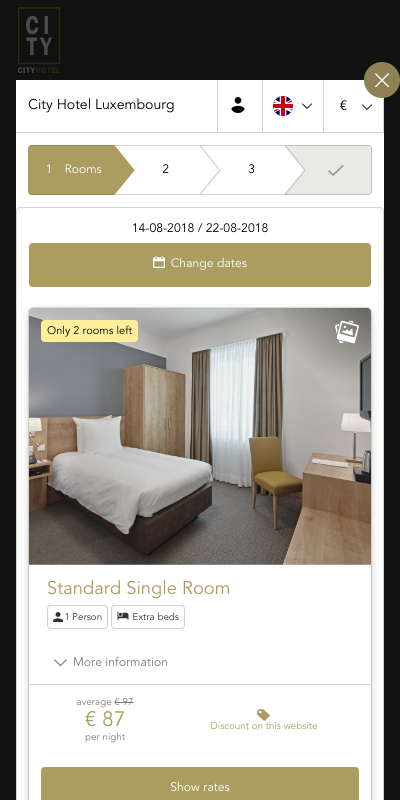 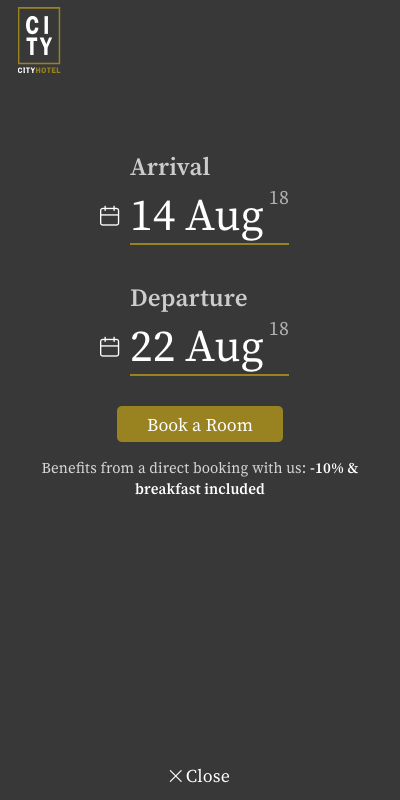 An intuitive booking panel lets the future customer quickly check the availability for a room and book it afterwards. 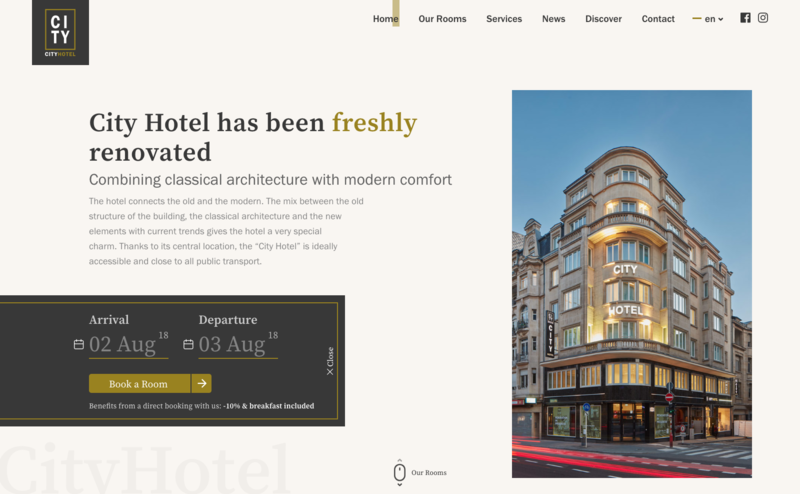 A lot of pictures, displaying the hotel and its amenities show the customer exactly what he will find in this classical building.